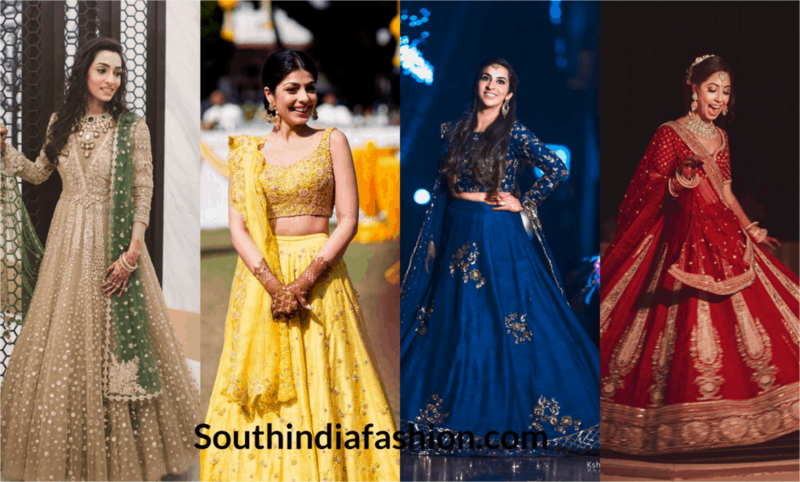 Fashion Trends Ultimate Guide To Help You Set Up Your Wedding Trousseau! Wedding Trousseau shopping is scary! It takes up a lot of time only to decide, scanning through hundreds of shops and packing it together. 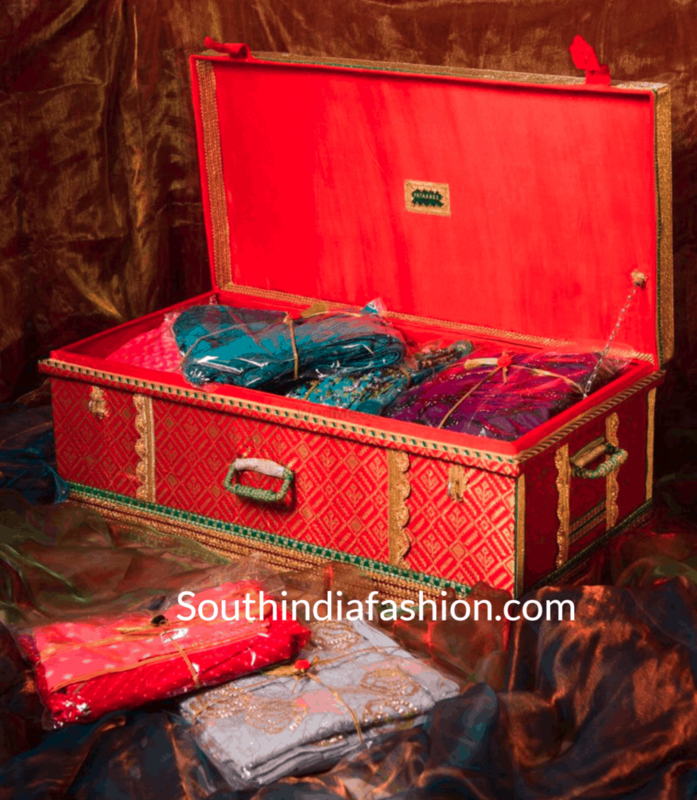 Shopping and setting up your wedding trousseau isn’t as easy. 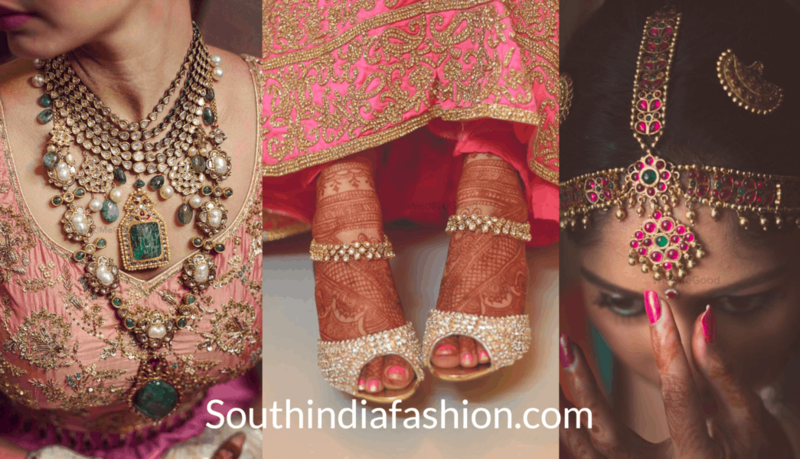 You have to put a lot of thought about every little detail of your wedding outfits, jewellery, etc. For all the other difficult decisions like picking the right one, you can always surf online for more options. Start by making a special Bride diary to make lists, taking notes, keeping a check on reminders, etc. This way you won’t forget or misplace anything important. Sit down and make a list of everything that you need to shop, from where to get it and it’s budget. From outfits, jewelry, nightwear, lingerie, footwear or makeup – make a list of every little detail. Buy separate boxes and label them. And after you shop, you can store it in the labeled boxes without misplacing them. 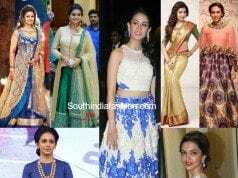 The first thing you should do is to start planning your outfits for your trousseau. Decide which style of outfit you want to wear for which ceremony. 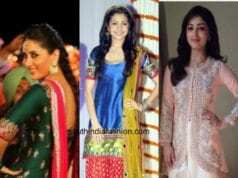 If you plan different themes for each ceremony; shop for outfits respectively. Keep in check with the latest trends online and see if you can get any outfit customized if you find a pattern you love. 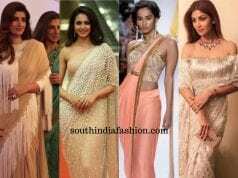 If you plan for saree, make sure you put your blouse to stitch as early as possible and have its multiple fittings done in advance. 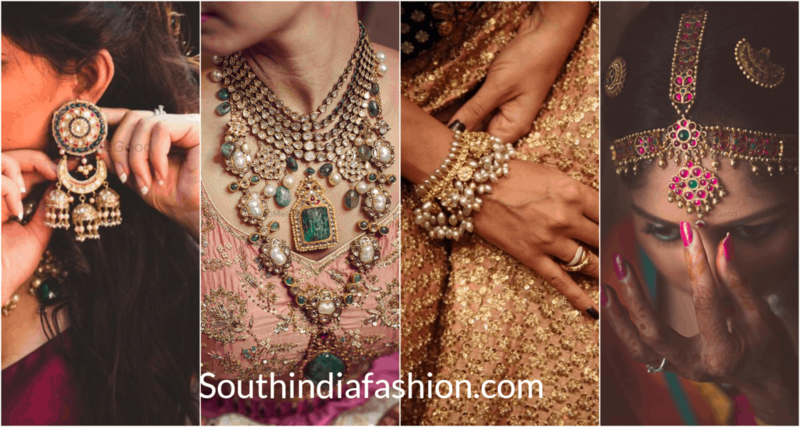 With wedding trousseau outfits, comes wedding jewellery. 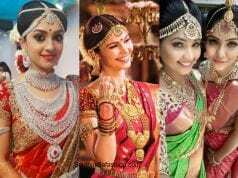 You need to figure out your jewellery according to the outfits you plan to wear. Make sure you place your jewellery along with your outfits to see if the tone of the jewelry goes with the tone of the outfit. Mothers usually spend years collecting gold ornaments to pass on to their daughters. Figure out what you already have and how you could incorporate that with your look. Sarees are a major part of every wedding trousseau. Carry a variety of sarees from lightweight georgette to rich silk ones. You might need these for different occasions. It’s always better to carry that one multicolored backup blouse that works for every saree. 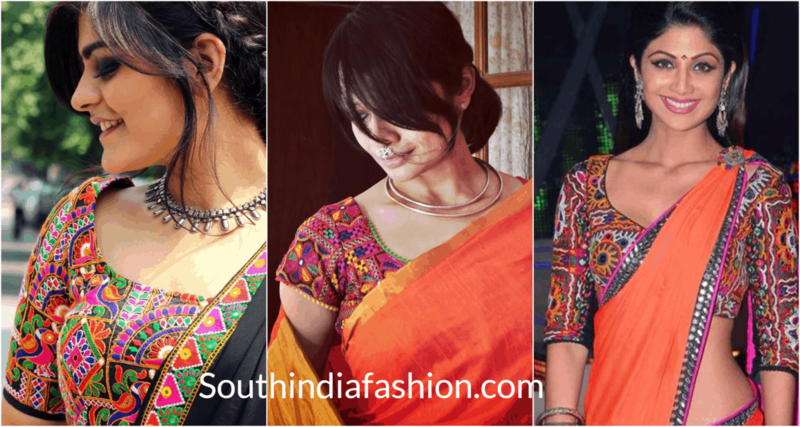 One multipurpose blouse with different saree can help you save time, money and even space! Stock up on your favorite makeup items, from lipsticks to eye shadows. Talk to your makeup artist to check which shade of concealer or foundation goes with your tone correctly. It’s always better to make a vanity box and store everything in it. Don’t forget to carry your favorite perfume in your trousseau too! You want to look and smell good! Buy some comfortable and pretty footwear as part of your wedding trousseau – ethnic and Western. It is essential that you try them and walk in them for a few minutes to check how comfortable your feet feel. Considering that you have to wear these for long, comfort is the thumb rule! Apart from these, buy a couple of blingy clutches, some fusion wear outfits, and contemporary jewellery. 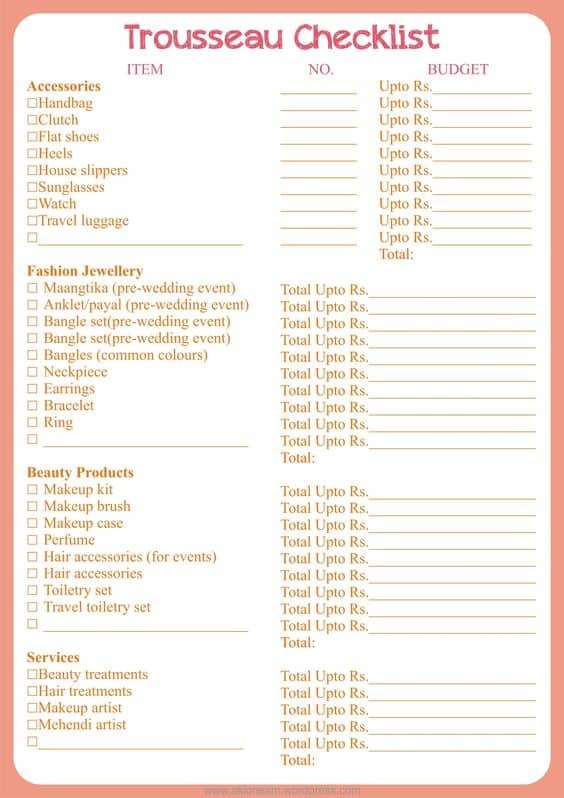 Stick to these guidelines and setting up your wedding trousseau can be a cakewalk.